Elvis’ Estate sues his hometown city of Memphis, et al., for recovery of proceeds from unrefunded ticket sales for concerts due to take place at the Mid-South Coliseum, which were canceled because of his death. In this case of first impression within Tennessee, the Court of Appeals of Tennessee considers issues of abandoned property and escheat and finds against the Estate. By and through its members, Glen Hunt, James E. Harwood, Joe Stephenson, Don K.
Rehearing Denied Jan. 12, 1989. Permission to Appeal Denied by Supreme Court April 3, 1989. Lloyd C. Kirkland, Jr., Memphis, for plaintiffs-appellees. James W. McDonnell, Jr., and Thomas J. Walsh, Jr., Memphis, Wildman, Harrold, Allen, Dixon & McDonnell, for defendants-appellants. W.J. Michael Cody, Atty. Gen. and Reporter, Charles L. Lewis, Deputy Atty. Gen., for plaintiff-intervenor-appellant. This action originated in the Chancery Court at Shelby County. The State of Tennessee and the Coliseum Board are appealing from the trial court’s order distributing certain unclaimed ticket proceeds. The facts of this case are, for the most part, not in dispute. On August 10, 1977, plaintiff Jerry Weintraub d/b/a Management III (hereinafter “Management III”), concert promoter for Elvis Presley, entered into negotiations with defendant Coliseum Board regarding rental of the Mid-South Coliseum [FN1] for two Elvis Presley concerts on August 27 and 28, 1977. The parties agreed that Management III would pay the Coliseum Board a rental fee of $8,000 for each show. The Coliseum Board also agreed to furnish personnel for advance ticket sales for which Management III would pay $2,500. Thereafter, Management III had the tickets printed and delivered to the Coliseum Board for advance ticket sales. 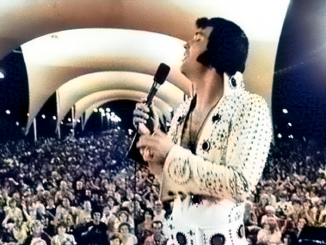 Approximately $325,000 worth of tickets were sold for the two Elvis Presley performances. On August 16, 1977, eleven days before the first of the two scheduled appearances, Elvis Presley died. The Coliseum Board immediately began giving refunds to the ticket holders for the two cancelled performances. In order to receive a refund, the ticket holder was required to surrender the ticket to the Coliseum Board. On August 16, 1982, Priscilla Presley, Joseph A. Hanks, and the National Bank of Commerce, co-executors of the estate of Elvis Presley, together with Management III, filed suit in the Chancery Court at Shelby County seeking to recover the unrefunded ticket proceeds in the possession of the Coliseum Board. These proceeds totaled in excess of $150,000. 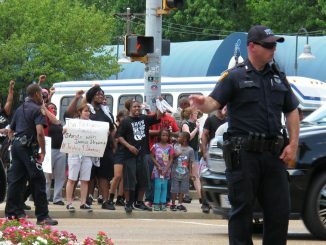 Named as defendants are the City of Memphis, the County of Shelby, and the Coliseum Board. Thereafter, the State of Tennessee ex rel. Harlan Mathews, Treasurer, intervened as plaintiff pursuant to the Uniform Disposition of Unclaimed Property Act (UDUPA), T.C.A. § 66-29-101 et seq. plaintiffs are entitled to the unrefunded ticket proceeds presently held by Mid-South Coliseum less any amount to which the Coliseum is entitled under the terms of the Contract, both with respect to charges and expenses incurred in preparation for the concerts and any charges and expenses, including reasonable attorneys’ fees, incurred in retaining funds and making refunds to tocket [sic] holders. A report of the Master, filed on October 13, 1987, found that as of July 31, 1987, the unrefunded ticket proceeds amounted to $152,229, with interest of $223,760.36, totaling $375,989.36. The Master found further that the Coliseum Board had incurred various expenses so that it was entitled to $22,702.32, plus a pro rata share of the interest amounting to $33,154.49, for a total of $56,154.49. 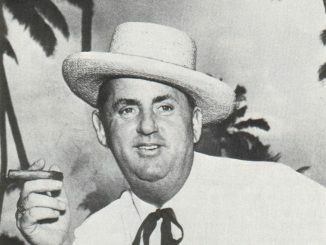 The Master also found that the Presley estate and Management III were due the remaining balance of $319,834.87. The trial court entered its final judgment according to the Master’s report, and the State of Tennessee and the Coliseum Board have appealed. The issue we must address on this appeal is whether the trial court erred in its distribution of the unrefunded ticket proceeds. We find that the trial court was in error and that the State of Tennessee, pursuant to the UDUPA, is entitled to the proceeds less any reasonable expenses incurred by the Coliseum Board in maintaining the fund. At the outset, we must clarify that the intrinsic value of the tickets, whether they be worth fifty cents each or fifty dollars each, is not an issue in this case. The purchaser of a ticket was contracting with Presley and Management III, through their agent, the Coliseum, for the right to see a concert performance, and the ticket was merely a representation of that contractual right. See generally Marrone v. Washington Jockey Club, 227 U.S. 633, 636, 33 S.Ct. 401, 402, 57 L.Ed. 679 (1913); Scott v. Young, 421 F.2d 143, 145 (4th Cir.1970) cert. denied 398 U.S. 929, 90 S.Ct. 1820, 26 L.Ed.2d 91; Bickett v. Buffalo Bills, Inc., 122 Misc.2d 880, 472 N.Y.S.2d 245, 247 (1983). Although the ticket may have some value as memorabilia apart from its intended function, such value was not the essence of the contract, had no bearing on the original proceeds, and has none now. When Presley died, performance of the concert became impossible, and the contract was void. International House of Talent v. Alabama, 712 S.W.2d 78, 88 (Tenn.1986); Rodgers v. Southern Newspapers, Inc., 214 Tenn. 335, 379 S.W.2d 797, 799 (1964). The ticketholder was vested with a right to a refund of contract proceeds from the Coliseum as Presley’s agent. While it is clear that return of the ticket to the Coliseum facilitates the execution of those refunds, the ticketholder’s right to receive a refund was not dependent upon actual return of the ticket. The ticket could have just as easily been punched, torn, or marked rather than actually returned, and still have served its intended purpose. Whatever the mode of ticket cancellation, it was merely a matter of Coliseum policy and is not a condition to vesting of the right to a refund. 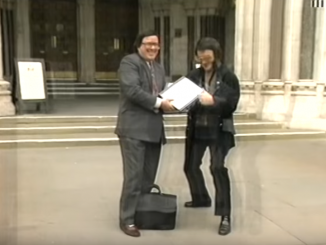 Evidence that the ticket is worth more now as memorabilia representing a contractual right than was the right itself is immaterial to this case. Whatever the reason, the fact remains that refunds were not claimed and are therefore presumed abandoned by the owners under the UDUPA, T.C.A. § 66-29-111 (1982) [FN2]. This is apparently a case of first impression in Tennessee. Neither party cited nor has our research revealed any Tennessee cases construing the UDUPA. Tennessee’s version of the UDUPA is codified at T.C.A. § 66-29-101 et seq. T.C.A. § § 66-29-103 through -111 define abandoned property. T.C.A. § 66-29-113 requires that the holder of the described property report that property to the state treasurer. After notice is given in accordance with T.C.A. § 66-29-114, the property is to be delivered to the treasurer under T.C.A. § 66-29-115. Although UDUPA cases are often cited under the heading “Escheat,” delivery of UDUPA property is not escheat. See, e.g., Travelers Express Co., Inc. v. State of Minnesota, 506 F.Supp. 1379, 1380 (D.Minn.1981). Even though experience shows that abandoned property is seldom claimed, title to the property remains in the owner and never vests in the state. Douglas Aircraft Co. v. Cranston, 58 Cal.2d 462, 374 P.2d 819, 24 Cal.Rptr. 851, 98 ALR2d, 300 (1962); T.C.A. § 66-29-123. The owner may recover at any time no matter how remote. South Carolina Tax Commission v. York Electric Cooperative, Inc., 275 S.C. 326, 270 S.E.2d 626, 628 (1980). The statute of limitation is not a defense to the duty to report or to make payment or delivery. T.C.A. § 66-29-118. Travelers Express Co. v. State of Utah, 732 P.2d 121 (Utah 1987). See Watts v. Putnam County, 525 S.W.2d 488 (Tenn.1975) (no vested right in Tennessee statute of limitations). Delivery to the treasurer is a defense to any action by the owner against the holder. T.C.A. § 66-29-116; see Douglas Aircraft Co., supra. 66-29-111. Miscellaneous property held for another person.–All property, not otherwise covered by this chapter, including any income or increment thereon and deducting any lawful charges, that is held or owing in this state in the ordinary course of the holder’s business and has remained unclaimed by the owner for more than seven (7) years after it became payable or distributable is presumed abandoned. We agree with the state’s assertion. The refunds in question have remained unclaimed in the more than seven years they have been held by the Coliseum in the ordinary course of its business. The ticketholder’s right to a refund vested when the contract was voided. That right arose and the seven-year statutory period began when Elvis Presley died on August 16, 1977. Therefore, a presumption of abandonment as to unclaimed refunds matured on August 16, 1984. The present action, filed in 1982, does not qualify as a claim under the statute because the plaintiffs have no legal right to the funds. Any right they might have had was lost when the contract was voided. The presumption of abandonment under the UDUPA is statutory and therefore independent of common law principles of abandonment. Under common law, property is abandoned when its owner voluntarily relinquishes his rights with the intention of terminating ownership without vesting ownership in any other person. 1 Tenn.Jur., Abandonment § 2. Intentional and voluntary relinquishment is not required under the statute. Statutory abandonment occurs when the conditions set out in the UDUPA exist. UDUPA provisions govern only those specific circumstances set forth in the statute, T.C.A. § § 66-29-113(a), -115, and only statutorily abandoned property is disposed of under the UDUPA. The report of the Master determined that the Coliseum was entitled to $22,702.32, and the Chancellor granted the Coliseum this amount from the proceeds plus a pro rata share of the accumulated interest. While it appears undisputed that the Coliseum has incurred expenses as agent to Presley and Management III and is entitled to be compensated as provided in their contract, such compensation cannot come from the unclaimed ticket proceeds. We hold that only those expenses incurred in managing the fund itself constitute “lawful charges” under T.C.A. § 66-29-111, and only those expenses may be deducted from the fund. The contract between Management III and the Coliseum specifically set forth the amounts due to the Coliseum for the services they provided and even contained a liquidated damages clause. The ticketholders did not contract to bear this burden and we therefore cannot place Management III’s contractual duty on the ticketholders. If we allow the Coliseum to take administrative and other costs associated with the cancelled concerts from proceeds which are to be delivered to the state, that is exactly what we have done. The state acts under the statute to protect the rights of the property owners. Any rights and obligations of the state in the property are derivative of the rights of the owners of the property. South Carolina Tax Commission v. Metropolitan Life Insurance Co., 266 S.C. 34, 39, 221 S.E.2d 522, 523 (1975). The Coliseum would still be entitled to compensation under the contract for expenses incurred as agent to Presley and Management III even if all the refunds had been made and the fund completely depleted. The Presley estate, Management III, and the Coliseum Board rely on the case of North Carolina State Treasurer v. City of Asheville, 61 N.C.App. 140, 300 S.E.2d 283 (1983). The Asheville case also involved unrefunded ticket proceeds from an Elvis Presley concert cancelled when he died. The North Carolina Court of Appeals held that the property was not abandoned and therefore not subject to possession by the state. The court expressed the belief that the legislature did not intend “a windfall to the state under these circumstances.” Id. at 285. The Asheville case is distinguishable, and we do not find it authoritative in deciding the case at bar. The statute at issue in Asheville was G.S. 116A-4 (1978) (repealed by 1979 N.C.Sess.Laws, 2d Sess., ch. 1311, § 1, effective January 1, 1981). Although the operation of the statute appears to be similar to that of the Tennessee statute, the North Carolina statute was not a UDUPA statute. This distinction in itself does not mean the Asheville case is without merit, but it does undercut our reliance on it in construing the Tennessee statute. We are well aware that this fund would not exist were it not for Elvis Presley’s unique skills and talents while living and the legendary status he continues to hold in the years after his death. State ex rel. Elvis Presley Intern. Memorial Foundation v. Crowell, 733 S.W.2d 89 (Tenn.App.1987). These considerations might in the absence of the Tennessee statute merit granting the windfall to Presley’s estate. But Presley’s death voided the contract represented by each ticket sold, see generally Bickett, International House of Talent, and Rodgers supra, and Presley’s estate and Management III therefore have no legal claim to the ticket proceeds. Granting the proceeds to either of them or to the Coliseum constitutes the type of windfall the drafters of UDUPA sought to address. See State of California v. Pacific Far East Line, Inc., 68 Cal.Rptr. 67, 261 Cal.App.2d 609 (1968); Douglas Aircraft Co., supra. We believe the drafters of the UDUPA and our legislature intended such windfalls to benefit the public rather than individuals in precisely the manner we hold here. While the statute as it now exists ensures that such windfalls benefit the public rather than individuals, we note that the statute discourages investment of the unclaimed funds during the seven-year period prior to the required reporting of unclaimed funds to the state. Any income resulting from such investment passes to the state with the underlying unclaimed funds. T.C.A. § § 66-29-103, -105, -108, -111. In summary, pursuant to the Tennessee UDUPA, we hold that the Coliseum must deliver all of the unclaimed ticket refunds and all of the accumulated interest thereon to the treasurer. Further, the treasurer shall publish the existence of the unclaimed funds and hold those amounts until such time as they are claimed by the rightful owners, the ticketholders. This case is reversed and remanded to the trial court for a determination of the reasonable expenses incurred by the Coliseum in maintaining the fund. Costs are adjudged against the appellees. TOMLIN, P.J., and CRAWFORD, J., concur. FN1. 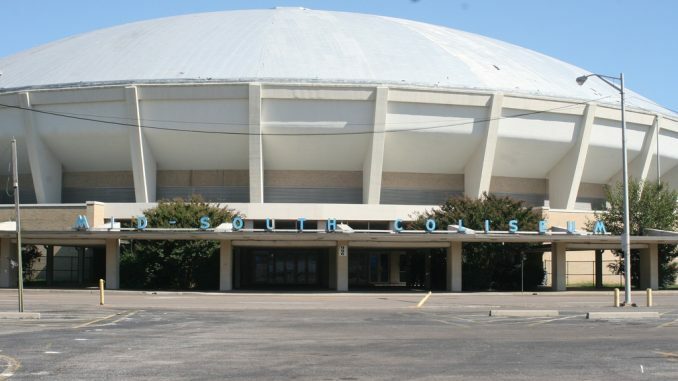 Mid-South Coliseum is jointly owned by the City of Memphis and Shelby County. The Coliseum Board was established by the City of Memphis and Shelby County to administer the affairs of Mid-South Coliseum. FN2. Effective December, 1984, the Act was substantially revised. Because the state’s claim under this Act arose prior to this revision, we will refer to the Act as then codified.